Tina’s exclusive Snack Food Gift Basket custom designed just for you! Cookies, chocolates, candy bars and more! Yummm! 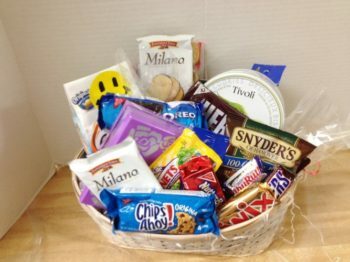 Let us design the perfect Snack Food Gift Basket for you! 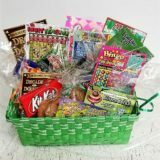 Our snack food gift basket is filled with an assortment of goodies including, but not necessarily available, cookies, candy, pretzels and assorted chocolates. This is the perfect gift for a person in the hospital, including ICU, a birthday present, an anniversary gift, a co-worker, assistant or boss, or a housewarming gift. 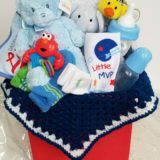 It’s also perfect for father’s day or a new mom and dad, who might really need this pick-me-up after having a baby! Do you have a new customer or client? Someone just sign a new contract or lease? This is the perfect gift! 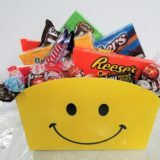 Why would you choose Basket Express to design your snack food gift basket? Here are 1o good reasons! But there are more! 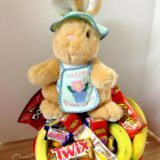 If you contact us to design your snack food gift basket we can personalize it just for you! Maybe the person really loves nuts! 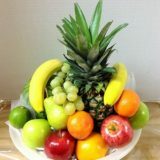 You might prefer this gift basket with fresh fruit and nuts! Maybe the person prefers chocolates (like me!). This one might be right up your alley! It’s loaded with cookies and chocolates! 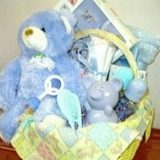 The fun of shopping at a real gift basket shop is your ability to tell us exactly what you’re looking for and our ability to create it! No sitting-on-the-shelf-waiting-for-you gift baskets here! 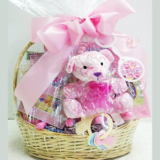 Every gift basket from Basket Express is custom designed just for you!